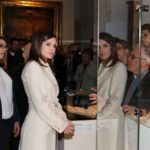 Today the Spanish Queen Letizia was at the Headquarters of Endesa in Madrid to preside over the public event of the Women for Africa Foundation. Letizia is the honorary president of the Women for Africa Foundation. The public event that was attended by the members of the Board and the components of the Advisory Board, as well as students and researchers with scholarships in Spain working with the projects developed by the Foundation. In this act, the “Phare Nador” project was officially launched in Spain. 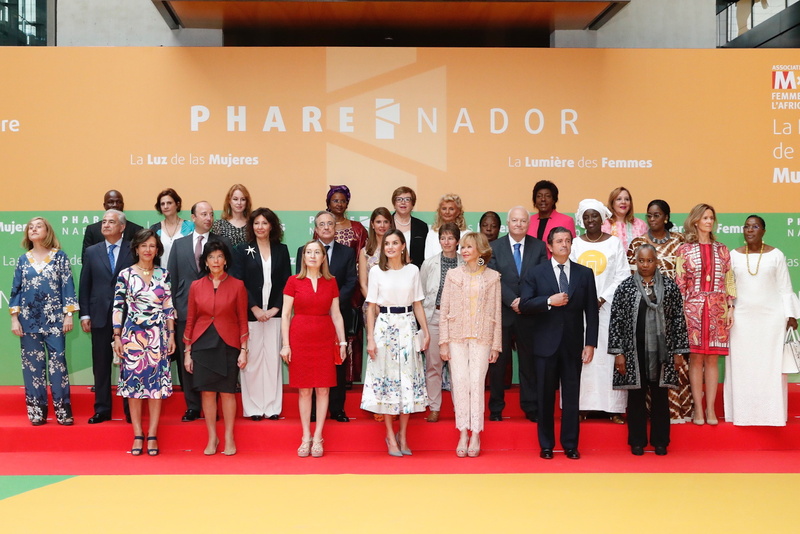 The “Phare Nador” is a project created by the Women for Africa Foundation that aims to promote the training, empowerment and leadership of African women and will start in the first part of the 2019 in the Eastern Region of Morocco. The foundation runs programs in a dozen African countries and works with women across the continent, but the “Phare Nador” will be its first location on African soil. A ‘neighboring’ country of Spain Morocco has special historical and cultural links with Spain. This Spanish-Moroccan project aims to become an axis of knowledge, training, culture and creation of opportunities that respond to the needs of women and African societies in general and Moroccans in particular, and especially, the city of Nador and the Eastern region. It also aims to be a node of leadership, reflection and meeting for women in Morocco and throughout Africa. In the project, the use and learning of new information and communication technologies will be encouraged specifically, as well as the creation of technology-based companies. Likewise, the dissemination of culture and the arts, especially African ones, will be promoted through a careful cultural program. On the other hand, in the international area, the “Phare Nador” aims to generate and transmit knowledge through research, reflection and encounter. Through the use of new information and communication technologies, under the title “Nador Women’s Hub”, a meeting place for women and networks of African women committed to equality in different areas of society will be promoted. The event began with a tour of the exhibition of women from Nador. The work of Fernando López Coloma was exhibited in the exhibition. Next, the Queen attended the performance of the trio of Andalusian music “Suhail Ensemble”. Speaking at the event, Her Majesty the Queen thanked everyone for her presence, for the companies and institutions that, “with determination and with active involvement, you bet for the African woman; thank you, in short, to the millions of African women that you consider that, with your effort and the help of all, you can – and should – have a future, and a present, more just, more equitable and with the opportunities you deserve “. Before leaving, Queen Letizia held a meeting with the grand rector of the University of Lleida and president of the CRUE, Roberto Fernández, the president of the Santander Group and member of the Board of Trustees of the Women for Africa Foundation, Ana Botín, and the soprano, activist for Human Rights and member of the Advisory Council of the Foundation, Barbara Hendricks. Next, the master of ceremonies, the journalist Mónica Carrillo, presented the “Nador Lighthouse Block” in which two young Africans, Hadar Haddou, a Moroccan scholar, and Femi Mama, a Beninese scholar, talked about the main objectives of the program. 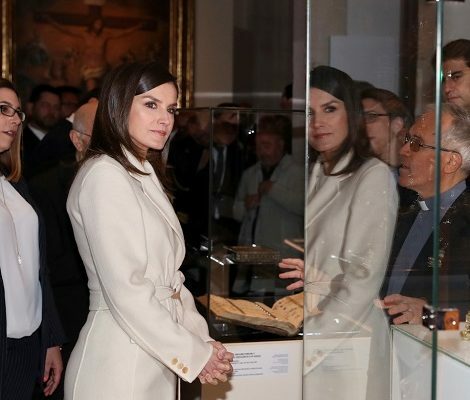 Coming to the sartorial details, Queen Letizia once again keeping her fashion profile low chooses to recycle her wardrobe. 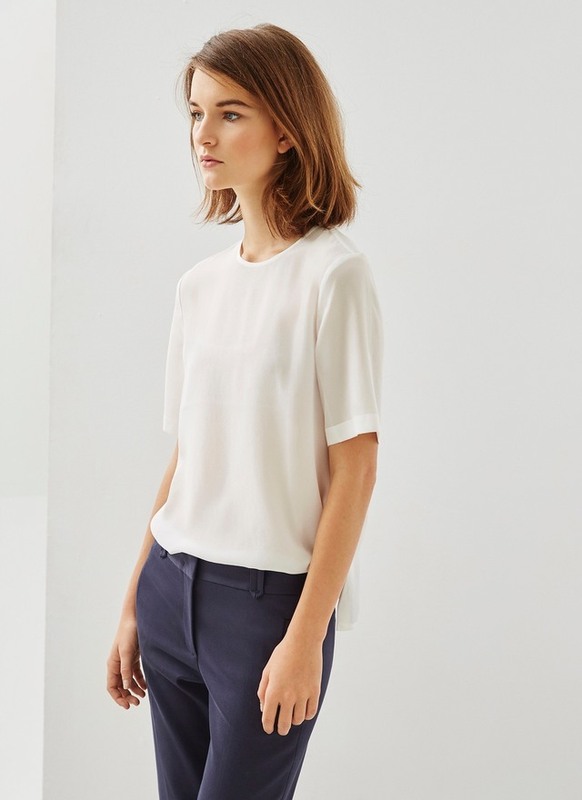 She was wearing white blouse by Adolfo Domínguez that she debuted in last July. Letizia paired the top with Adolfo Dominguez knee-length multi-colour print skirt that she premiered in June this year when she and Felipe to welcomed Ukraine President and First Lady to Spain. 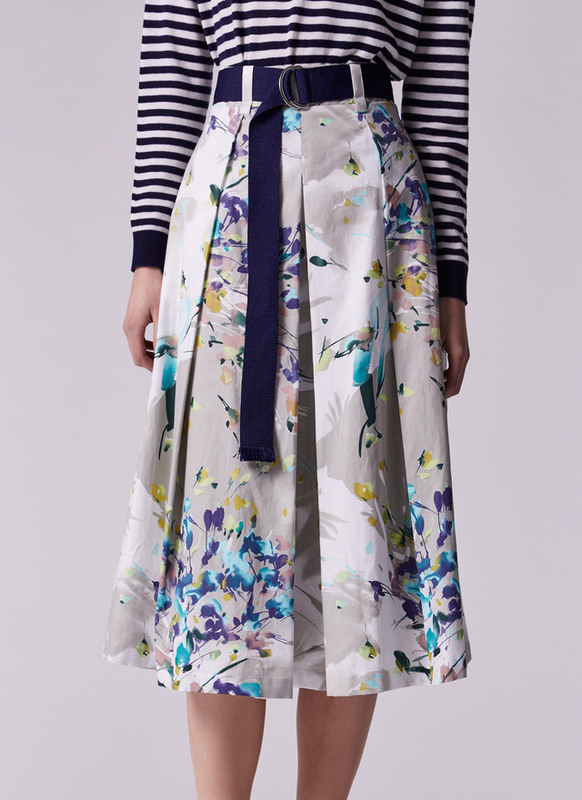 The Flared skirt with signature print is reduced to 79 € with 35 % discount from 128 € at the online store of Adolfo Dominguez. 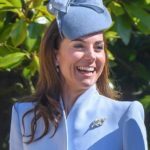 Queen accessorized her look with pearl and gray tone. She was wearing gray leather pointy-toe pumps that are unidentified yet. 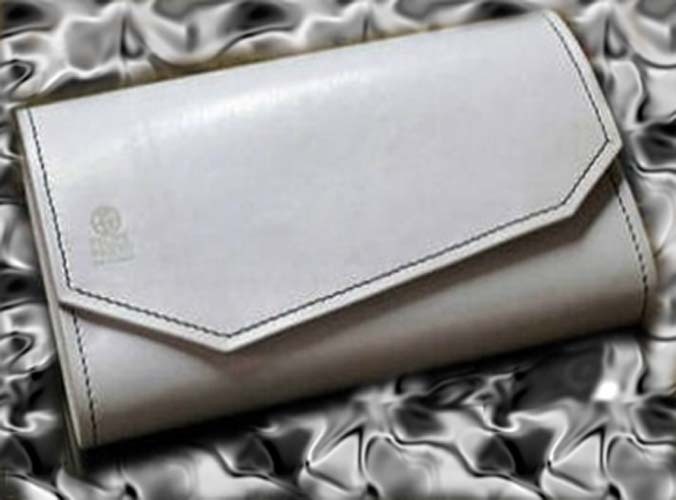 Letizia was carrying her Felipe Prieto’s leather handbag (shown here in gray). Her Freshwater Cultured Pearls and Diamond earrings set in White gold from TOUS finished the look. 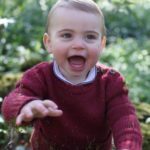 Today the Palace of Zarzuela also announced important information about Princess of Asturias Leonor and Infanta Sofia. The statement say, “In the process of academic and personal formation of Her Royal Highness the Princess of Asturias, the Infanta Doña Leonor, and her sister Her Royal Highness the Infanta Doña Sofía Their Majesties King and Queen have decided that sisters will attend a month long Children’s summer camp in the United States of America, from where they will return at the end of July.